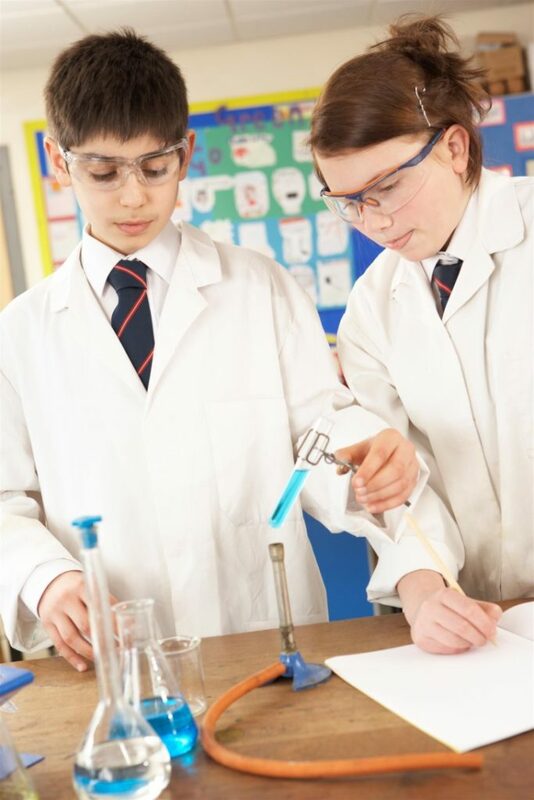 Standard laboratories provide business and government with facilities to conduct important testing and research and allow students to get hands-on training to develop needed skills in STEM occupations. Labs also have many hazards, requiring lab managers and educators to maintain proper equipment and instill a culture of safety to avoid preventable injuries. More than 500,000 people in the U.S. work in laboratories, and millions of students learn scientific procedures and methods in labs every day. Because so many people work and study in labs, and because of the hazards present, a significant number of people are injured each year in laboratory accidents. A recent survey by UCLA Center for Laboratory Safety found that 46 percent of respondents reported being injured in a lab setting. Twenty-one percent reported being hurt more than once. The study found that while lab injuries are fairly common, many lab workers think that their lab is a safe place to work. Experts have found that lab injuries occur more often in school labs than industrial laboratories. Safety advocates point to a weak safety culture in academic environments and old and obsolete equipment and insufficient safety gear in school labs as the reason for the larger number of injuries. By installing and properly using lab safety equipment, such as chemical fume hoods, eye wash stations, showers, and more, educational institutions and industrial plants can reduce the likelihood of injuries and lessen the harm caused by them. Fire extinguishers – Labs require multiple fire extinguishers, as extinguishers are made to handle specific types of fires. For example, an extinguisher made to put out chemical fires is not made for putting out electrical fires. Lab managers should have multiple types of fire extinguishers stored in visible, easy-to-access places throughout the lab. Safety goggles – This simple and inexpensive safety tool may be one of the most important pieces of lab safety gear. Goggles protect the eyes and skin around the eyes, providing superior protection than safety glasses. Chemical fume hoods – Chemical fume hoods are among the most vital pieces of safety equipment used in modern laboratories. These devices protect lab workers from inhalation injuries by drawing vapors, dust, and gases into ventilation systems, which flows them out of the laboratory. The device is enclosed on three sides, and lab workers can adjust the position of a sash, usually made of clear plastic, on the fourth side to provide access to the chemicals inside the hood. The sash helps ensure fumes, vapors, and gases go into the ventilation instead of out into the lab. They can also help shield workers from boil-overs, heat, combustion, and other reactions that may occur within the chemical fume hood. A fan at the top of the hood draws vapors, dust, and gases upward and out of the laboratory. Lab managers should periodically inspect fume hoods to ensure they are operating properly. If they are not, managers should make repairs to them immediately. Lab coats – All standard laboratories need lab coats, and all lab workers need to wear them. Lab coats are manufactured to be chemical and flame resistant, providing protection to students and researchers working with heat sources and volatile chemicals. Safety shower – Every laboratory should be outfitted with a safety shower in the event of a chemical spill or splash. The safety shower should include an overhead handle that will immediately cause the shower to douse the worker with water when he or she pulls it. Quick rinsing of chemicals can prevent serious injuries. Eye wash station – In addition to the safety shower, every lab should have an eye wash station workers can use should they get chemicals, glass, or other objects in their eyes. First aid kits – Every laboratory needs to have several first aid kits stored in locations throughout the facility. Lab managers must ensure that lab kits contain all necessary items such as bandages, scissors, ointment, etc., and kits should be inspected and refreshed as needed. Disposable gloves – Every lab needs a good supply of disposable gloves. Gloves used in laboratories need to provide sufficient protection from chemical and other irritants. Purchasing gloves from a science supply firm is recommended. Fire blankets – Because labs often work with heat sources and chemicals that may combust, having a fire blanket is important. Fire blankets can be used to smother fires, making them invaluable to a lab setting. Spill neutralizers – Lab workers should use spill neutralizers when they or someone else spills a chemical on the lab bench or the floor. Spill neutralizers will render most acids or bases harmless, allowing safe cleanup of the spill. Most spill neutralizer products provide an estimate of how much acid or base they will neutralize. Some products will change color when the spill is neutralized to indicate it’s safe to clean up. Eye injuries – Lab workers eyes can be injured from broken shards of glass, flashes of light, and chemical splashes. The frequency of these injuries and the seriousness of them are why such emphasis is placed on wearing proper eye gear and having an eye wash station. Cuts and lacerations – Because lab workers use glass beakers, tubes, and other equipment with various chemicals and sources of heat, it’s not unusual for these tools to break. Lab workers can injure themselves by mishandling glassware or from not properly cleaning up broken glassware. Chemical irritation – Exposure to chemicals may severely irritate the skin and can cause burns. Some chemical reactions can even cause fires. Wearing goggles and gloves will protect lab workers’ hands and faces. Wearing proper lab coats also helps protect against exposure to chemicals. A lab shower can also help workers quickly rinse off dangerous chemicals they may be exposed to in the course of their work. Burns from heat sources – In laboratories, lab workers often use hot plates and open flames in their work. Carelessness and clumsiness can often lead to lab workers getting burned by these heat sources. Lab workers can avoid injury by wearing proper safety gear and not getting too close to heat sources. Inhalation – Some of the chemicals and substances used in a lab can produce noxious fumes and gases that lab workers may inhale, causing respiratory illness and injury. Chemical fume hoods and good ventilation can reduce the likelihood of these injuries. Just having the right gear isn’t enough to reduce lab injuries. Lab managers must also instill a culture of safety among lab workers. Managers must train lab workers to use lab equipment properly and encourage lab workers to keep safety foremost in their mind as they go about their duties. Frequent training and reminders can help reduce the complacency about safety that sets in around some lab environments, which results in injuries.